I'm Rudi from Indonesia -- living and working in the Sumatran rainforest -- the last place on Earth where endangered orang utans, tigers, elephants and rhinos still roam free together. 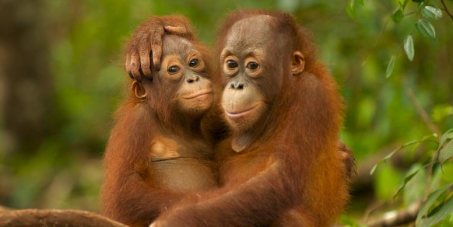 Right now, we’re desperately trying to stop a government plan that would allow devastating logging of our forest for mining and palm oil plantations -- and we need your help to stop them! We’ve just heard that this horrific plan is temporarily frozen due to growing opposition on the ground and that there’s a good chance we can kill it off for good. But we fear that we won’t win this fight alone and with so many lives and endangered species at stake we simply can't afford to lose. A massive global outcry can force our President to cancel the chainsaw massacre completely, because if he fails to act he’ll be risking Indonesia’s reputation and tourism.